But He would not let me see Him. Who am I, and who is He? Katha koere dekha dey na. Ami konjon, Shey kon jona? 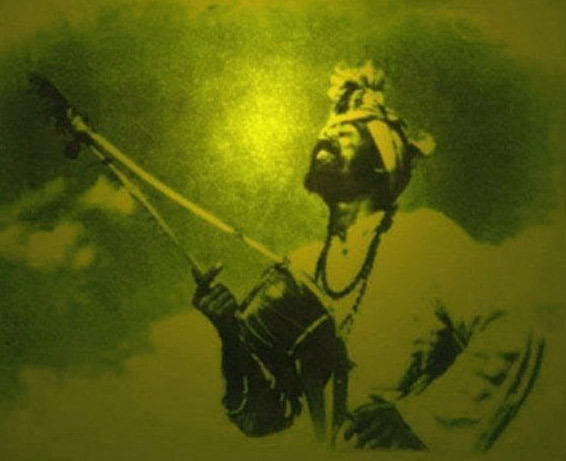 The above lyrics and many more similar mystical and devotional songs are composed and sung by the Bauls, the native mystic minstrels from Bengal. Bauls are a very heterogeneous group, with many sects, but their membership mainly consists of Vaishnava Hindus and Sufi Muslims, for both group - devotion, love and surrender is central. Though Bauls comprise only a small fraction of the Bengali population, their influence on the culture of Bengal is considerable. In 2005, the Baul tradition was included in the list of "Masterpieces of the Oral and Intangible Heritage of Humanity" by UNESCO, which is an indicator of its preciousness. Every land has an original spiritual tradition with its root deep into the land, it's culture and realizations of many successive generation of refined souls. For North American perhaps it is the Native American tradition, for China it is the Taoism, for pre-Islamic period of Arabian Peninsula it was Hanafi Monotheism and for Bengal, Baul tradition can be identified as such tradition which is of it's very own. What is common to these original and native traditions is that they are very transcendental, mystical, embody both esoteric and exoteric and has an inclusive universality. Although a land is often over-influenced by foreign traditions, religions and culture, yet the native traditions remain as a container preserving some of the original truths and essential spiritual teachings. Since they are originally from the land and generally do not suffer from the "lost in translation" syndrome (which happens to modern religions), often the teachings and parables used in native traditions are easily accessible to the people of the land. These native traditions have a pristine and simple character which makes their local wisdom and feelings easily communicative. I personally find that any such native tradition can be very helpful and complementary to access some of the ancient wisdom teachings when compared with the organized and modern religions, which often suffer from "lost in translation and culture" problem. As contemporary Sufi Teacher Shaykh Ebrahim Schuitema once remarked "Binocular vision enables depth perception. Get yourself reasonably acquainted with at least one other inner tradition." For people of Bengal, regardless of their formal religious affiliation, it is the Baul tradition which can act as the complementary vision to enable depth perception of the spiritual (as well as material) reality. On the same line of thought Ibn Arabic said "Beware of restricting yourself to one particular religion and disbelieving in everything else, so that great good would be missed by you, indeed you would miss attainment of knowledge of the affair in the form he is following. Rather be ready to accept all forms of belief. This is because Allah is higher and greater than to be comprehended by one belief to the exclusion of others. Rather all are correct, and everyone who is correct receives award, and everyone who is rewarded is fortunate, and everyone who is fortunate is one with Whom He is pleased." Couple of weeks back few friend of ours had an opening to visit a living Baul who is one of the elders who faithfully represents this Baul tradition. The elder whom we visited is known as Humayun Sadhu and lives in Narsingdi, few hundred miles away from the capital of Bangladesh. Humayun Sadhu is one of the few prominent elders who follows Lalon Fakir diligently still today and initiating others into the Baul tradition. At his center he organize a three day events of Sadhu Sanga (Companionship of saints / spiritual elders /luminaries) where Baul singers gather and sing devotion songs on the occasion of forty days after death anniversary (known as challisha) of great Baul Master Fakir Lalon Shah. Narsingdi where Humayun Sadhu is based, is a picturesque village with slight hints of urbanization here and there. Few of our friends traveled together and reached there before noon. We were welcomed by people there and eventually got introduced to Humayun Sadhu himself who also graciously welcomed us. After a while we found ourselves enjoying Baul songs sung by Humayun Sadhu himself. After we were served food I sought permission and an audience to interview him briefly and it was granted. Following is from the conversation with Humayun Sadhu, recorded on 23rd November 2012. SADIQ: How would you introduce yourself in response to the question as to who is Humayun Sadhu? HUMAYUN SADHU: I will say that I am a follower of Lalon, I have faith in his ideology, the path that he has shown and those teachings found in his songs, teachings gained from the companionship of Guru – I try to follow accordingly, accordingly to the instruction of Guru and practicing the practices given by Guru – this is my identity. Everyone acknowledge that the Grand Master of Baul is Lalon Fakir. In some places it is said that “Ba” of Baul means Batash (wind, breathe) and “ul“ means to seek, search, so those who seek the wind, the breath, the breath within breath are known as Bauls. The practice of singing that Bauls do is one kind of sadhana, practice of seeking or mastering the breath or wind. Those who are engaged in the practice of the breathe, the practices of rasa - they can be called as Baul. From your own life experience, would you add anything to the definition of Baul? What elements you would identify which if found in someone, he, she can be called a Baul? A Baul has to be of honest character. He, she has to have humanity, has to have sense of beauty, has to love others. He will not be into quarrel, chaos, hatred and harming others. He should follow what is truth. These qualities which when found in someone, he, she is Baul, he, she is a Sadhu (a saintly one, a sagacious, pure one). What is the role of a Sadhu? To be with truth and to call others toward truth. To stay away from what is untrue and to reject them – this is the identity of a true person, of a Sadhu. Time has changed tremendously. In your opinion, in this changed age, what should be the most important work of Sadhu? What method should suit this time? The method that we Bauls adopt, we think that this method can give birth to good character, people will be of ideal character, humane qualities will flower, man will engage themselves in doing to good to others, that is what we understand and intend to do. We give this advice to others. The message of the time is also the same, the message of science is also the same. Civilization. To attain civilization. In terms of Baul’s mystical language, the relation of the soul and the body is analogous to the bird and it’s cage. Now the cage is for caging the bird. The body is required for the soul to have its abode. Now how should man carry out the proper responsibility towards the body? This (knowledge) exists within man, but to reach it, man needs to attain the companionship of a Guru. One has to get this knowledge from Guru. When one receive this knowledge and follow the practices / sadhana, and walk on the same path as Guru, then one attain such knowledge. What is the essence of the Deho-tattho (Knowledge of the Vessel / Body-Science of Baul)? The soul is alive by the remembrance of Allah." If the soul is not alive, if the abode of soul, the cage of the bird – that is the body is not fit for the soul to inhabit – then the bird will not stay there. The body is a very important foundation and it has to be maintained so that the bird can live within it properly. Where can the bird stand? The cage must be maintained. The body and soul is utterly dependent upon each other. The both must be in harmony, in union. Generally it appears that the breath is loosely going in and coming out, as if it may vanish at any moment. But this wind, this breathe must be mastered. That is why the Sadhana of the Bauls are with the breath, with the wind. The secret of the wind must be learned from the wind. This breathe must be mastered and harmonized with the body in such a way that both can never be in disharmony. How does the Bauls see death, how important is the thought of death for Bauls? Death is inevitable, none can avoid it. Bauls don’t worry so much about death. Death must come one day and the Bauls are already kind of dead in this world. They are not engrossed in the craving of the dunya (passing world). They are zinda-mora, they are already dead, thats why they are not bothered much with death. What is most essential to break free of bonds or maya? The Messenger of Allah is the Law giver. To recite this always clears the dusts from within the heart and the love of the Wali (friend of God), the love of God will descend upon within. If humanity follow this way, this will free him from bad deeds, from maya. One who has zikr within, one who remember Allah always, upon every breath he, she tries to recite, then man will be free from wasteful actions, from harmful actions. Which teaching of Lalon is highest according to your realization? There are some hidden teachings which are passed down such as rasa-rati bhed, rajab bhed, to hold / preserve the essence, to guard the secret essence of Man. They are the hidden knowledge, the real knowledge which is someone practices can reach God or nearness of God, can attain the gnosis of God. To get those teachings from Guru and to work on them, to practice them, to preserve them are the most important ones. Who was and is your direct Guru? First Guru was Dukhu Miah, he is no longer in his body, my present Guru is Daulat Shah, he lives in Meherpur. Every year there is a Shadhu Sanga in rainy season, where I go once a year. Also I meet him when he comes to Kushtia (the birth and work place of Lalon). How much time are you available here in Narsingdi? I am here mostly. Only when there are special needs, then I go out from here. I don’t wander much these days. Only I go to Kushtia during Lalon Shai’s death anniversary and while going and coming back I stay in Dhaka. A person who is engaged in family life, if he hears the call of Baul, then how does he respond to that call? There exists both kind of Bauls, those who are engaged in family life and those who are renunciate. Those who are Bauls engaged in family life, then can still practice and maintain their Baul life after managing their family affairs. Even when they are in family, their mind and heart is somewhere else. His life focus is with the Bauls. They can still success in their practice. They can do well if they can practice their Bauliana with their spouse or partner. Even then the teaching of the Guru is very important. In songs of Lalon we find the topic of Shahaj Manush (literally means, Simple Man) and how to be Shahaj Manush? That person who is tolerant to everything, the person who can navigate within in samsara with ease, he, she is Shahaj Manush. And to become such a person, the path is to act according to the instructions of the Guru, to walk on the path of Shaiji (Lalon Shah). What is the method of initiation into Baul sects? The first condition for diksha or initiation is Kalma or the Sacred Formula, "La ilaha illaAllah, Muhammad Rasulullah." Then instruction is given to recite it always and to stay truthful on the path of truth. In this path we don't eat meat, egg etc. certain fish are allowed, but not all. Each gets realizations / understanding of the Path according to the amount they can follow or practice in Baul path. Bauls are unique in world spiritual tradition for they are a meeting point of three currents Vaishnavism, Sufi and Buddhist Tantra - all of which had very strong origins in Bengal, the land which produced numerous saints and God-intoxicated mystics. The origin of Bauls is not known exactly, but the word "Baul" has appeared in Bengali texts as old as the 15th century. The word is found in the Chaitanya Bhagavata of Vrindavana Dasa Thakura as well as in the Chaitanya Charitamrita of Krishnadasa Kaviraja. The beginning of the Baul movement was attributed to Birbhadra, the son of the Vaishnavite saint Nityananda, or alternatively to the 8th century Persian minstrels called Ba'al. Bauls are a part of the culture of rural Bengal. Whatever their origin, Baul thought has mixed elements of Tantra, Sufi Islam, Vaishnavism and Buddhism. Sri Sri Ramakrishna in his Kathamrita said the following about the Bauls: "According to the Sakti cult the siddha is called a koul, and according to the Vedanta, a paramahamsa. The Bauls call him a sai. They say, "No one is greater than a sai." The sai is a man of supreme perfection. He doesn't see any differentiation in the world... He calls the Ultimate Truth "Alekh", the "Incomprehensible One". The Vedas call it "Brahman". About the jivas the Bauls say, "They come from Alekh and they go unto Alekh." That is to say, the individual soul has come from the Unmanifest and goes back to the Unmanifest. The Bauls will ask you, "Do you know about the wind?" The "wind" means the great current that one feels in the subtle nerves, Ida, Pingala, and Sushumna, when the Kundalini is awakened. They will ask you further, "In which station are you dwelling?" According to them there are six "stations", corresponding to the six psychic centers of Yoga. If they say that a man dwells in the "fifth station", it means that his mind has climbed to the fifth centre, known as the Visuddha chakra. (To Mahendranath Gupta) At that time he sees the Formless." Read more about their Music, Concepts and Practice from the Wikipedia entry on Baul. 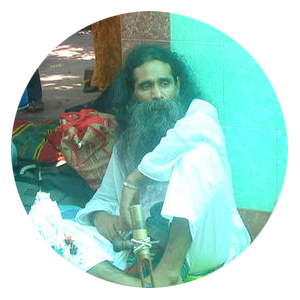 Humayun Sadhu is one of the practicing Baul, a faithful follower of Lalon Shah, the legendary Baul, a indigenous mystics of Bengal. This is short interview with Humayun Sadhu conducted at his corner at Narsingdi, Bangladesh.